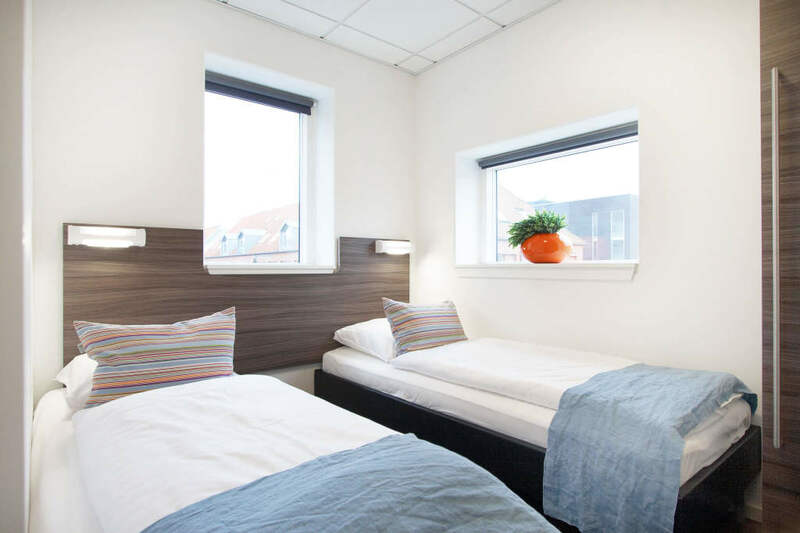 We offer nice and bright twin rooms for your stay in Aarhus center, wether you are here for business or holiday. All our rooms are furnished with new furniture and a small kitchen with refrigerator, stove top and microwave and a dining table for 2 people. Our rooms have two comfortable beds and nice bathroom with shower. 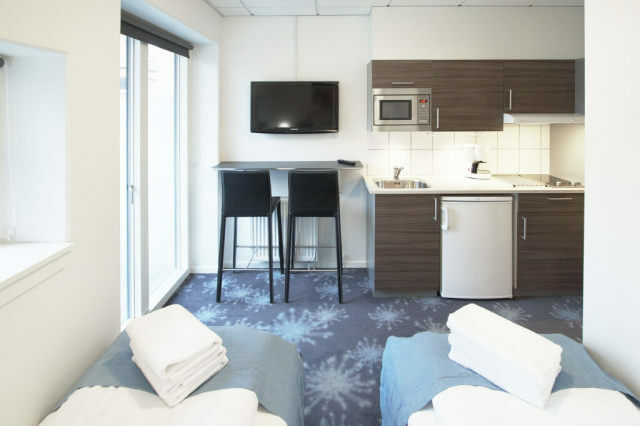 Additionally you will find an ironing board and iron in the room. All the rooms at Hotel Faber all have 40 inch TV with a good selection of popular channels, both Danish and foreign channels and the rooms have free WiFi. 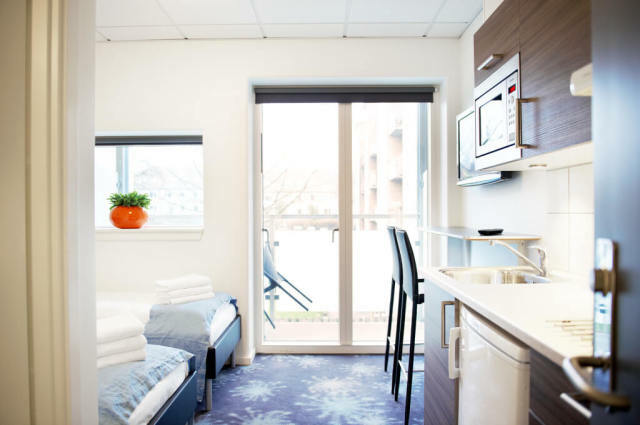 We offer rooms both with or without balcony. 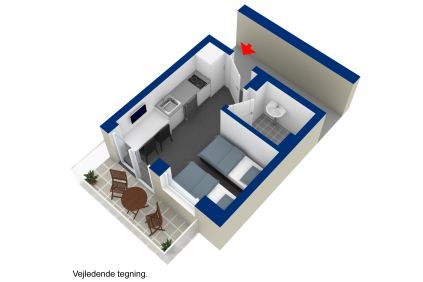 All our twin rooms are faced south, and the balconies are fitted with chairs and a small table. 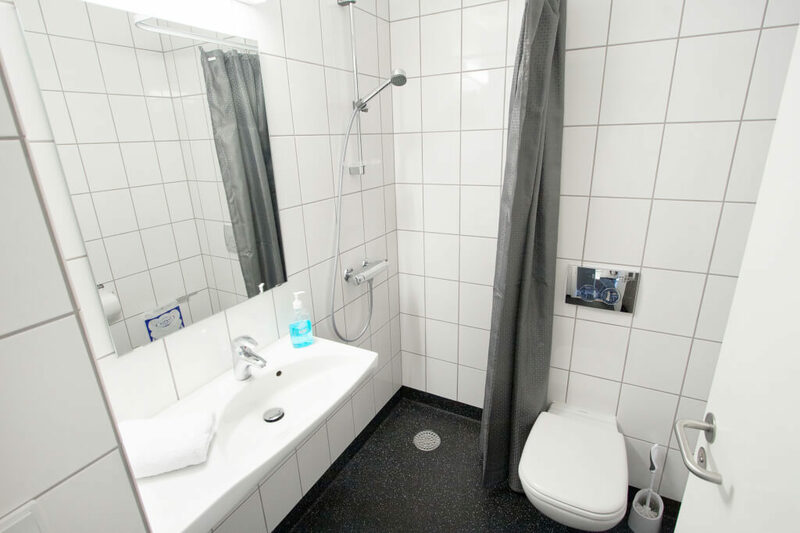 If you have any question regarding your stay in Aarhus and Hotel Faber, please do not hesitate to contact us, either by phone (+45 70 267 011) or our contact form.